The Blackstone Group L.P. (NYSE:BX) has made known its intentions to pull out of Russia, saying that it has been a tall order for them to find viable deals in the country. The US buyout group had employed consultants in Russia to help in finding deals but there hasn’t been any success till so far. In a new revelation, the US private equity group has categorically said that it will not renew the contracts of the consultants it had brought on board to help find deals. The entity had hired Dmitri Kushaev, who is a former head of investment banking at ING in Russia. 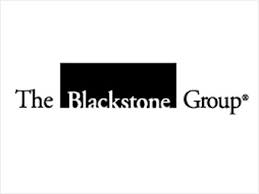 Mr. Kushaev was roped in as a strategy to get an insider who could be able to secure deals for the The Blackstone Group L.P. (NYSE:BX). The Blackstone Group L.P. (NYSE:BX) also cited how even some “well-connected” European investors are also giving the country wild berth due to difficulties in finding lucrative investment opportunities. Even with Steve Schwarzman, The Blackstone Group L.P. (NYSE:BX) chairman, sitting in the international advisory board of the Kremlin-backed Russian Direct Investment Fund, nothing has been forthcoming. Schwarzman has held the position for the past 3 years. There has also been growing tensions between the U.S. and Russia over the developments in Ukraine where Russia is said to be supporting rebels to split the country. U.S. recently issued several sanctions against Russia and has been seen to go full swing into space investments in readiness for the possibility of Russia withdrawing space services that it offer to the U.S.
Apart from the Ukraine crisis, some international buyout groups haven’t gone to Russia because of fear of corruption, political interference, and a complex judicial system, factors which aren’t good for investors. Examples of entities that have shied away from the market include The European Bank for Reconstruction and Development, DMC Partners, and Baring Vostok.